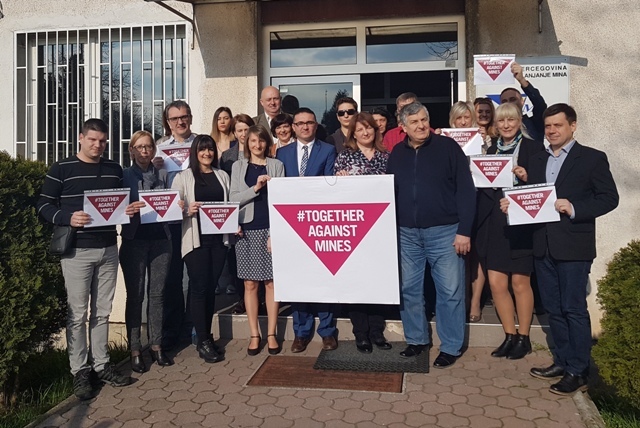 Today, in the BiH Parliament Assembly in Sarajevo, whole mine action community and donors for this action, marked 4 April, the International Day of Mine Awareness and Assistance in Mine Action. Event was organized by the Ministry of Civil Affairs, Demining Commission and Bosnia and Herzegovina Mine Action Center, with the support of the United Nations Development programme and the Swiss Embassy in BiH. Once again, all participants and dear guests confirmed the commitment in continuing the implementation of these activities in BiH, to finally resolve this long-term and global problem of mines and unexploded assets. At the same time, today's event was an opportunity to highlight the determination to continue with the struggle for the final elimination of danger, which directly affects the security of the inhabitants of Bosnia and Herzegovina and its socio-economic development. All participants and dear guests, in addition to the statement given by the representatives from the state level and the international community, had the opportunity to see an interactive exhibition of photos taken in BiH, with live video interviews. Exibition shows portraits of government officials involved in solving this problem in our country, deminers, mine victims and other people affected by the mines and UXO remained from the past war. Also all attendees, have had the opportunity to be informed about ongoing projects in the mine action activities and future steps related to the implementation of the recently adopted Mine Action Strategy for the period 2019-2025. The fact saying that there are still more than 79,000 mines and unexploded ordnances, confirms how serious is the problem and its possible consequences, if we fail to resolve it as soon as possible. It is estimated that mines and other unexploded assets left behind by war, can be still found in some 129 municipalities in BiH, where 1,398 where communities were identified. It was emphasised and warned that in numerous settlements across Bosnia and Herzegovina there are still mine warninig signs, behind which there are invisible “killer” mines. So far, more than 2/3 suspected areas were returned to people for further use, and currently suspected area amounts to 1018 km2. During several past years, Bosnia and Herzegovina is successfully implementing a new mine action methodology called Land Release and is currently in the phase of implementation of the Country Assesment project of mine suspected areas in BiH, which aims to provide new information about the remaining suspected areas in BiH. 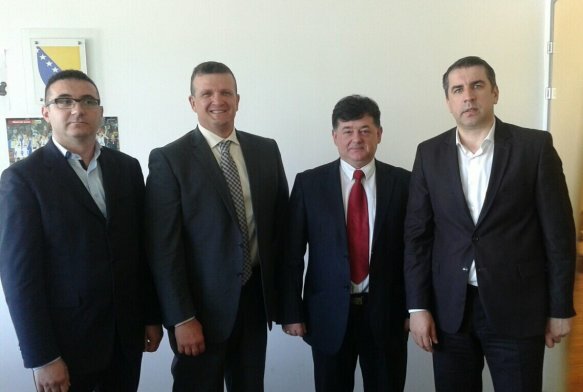 Project is mutually implemented by BHMAC, Armed Forces and NGO Norwegian Peoples Aid, with financial support from the EU. 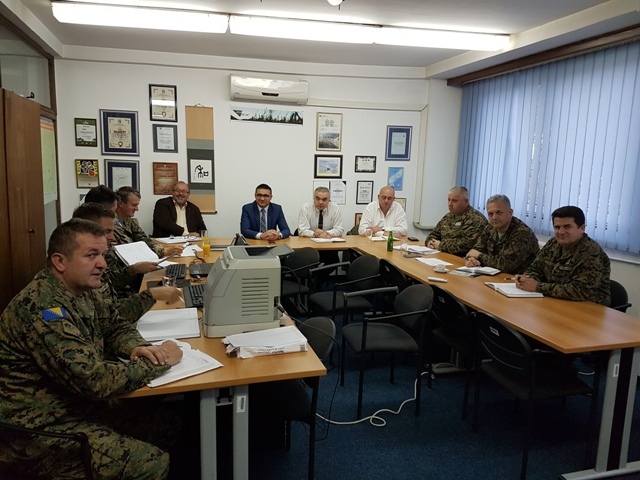 The Project will result in improving the effectiveness of the Land Release methodology, through improved results about the size and impact of mines and unexploded assests. Once again, Bosnia and Herzegovina expressed its gratitude to all assistance and cooperation to all donors and other participants in the field of anti-mine action, which is expected to remain the same in the future and the effort to become mine free country, what will result in careless childhood of our children, and development and progress of our country. by administrator · Published 30. 03. 2017.
by administrator · Published 14. 05. 2016. · Last modified 08. 06. 2016.